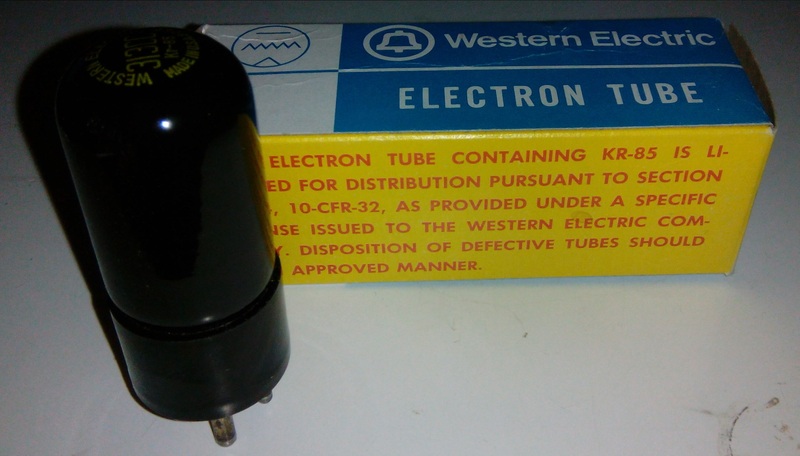 There are some electronic tubes that contain small quantities of radioactive materials to enhance the internal ionization processes. Such tubes have been used in the 20th century mostly in radar technology. Some of these tubes contain small quantities of Cesium-137, Cobalt-60, Radium-226, Krypton-85. The radioactive elements have been added to increase the electronic response by improving the internal ionization processes. The image on the left shows a spark gap tube containing a small amount of Cesium 137. The cesium is deposited on the inner glass and has the aim to ionize the gas contained in the tube so as to facilitate the formation of the electrical discharge between the two electrodes. Originally the activity was about 0.2 – 0,3μCi, but now, after many years away is greatly reduced. Anyway it remains easily measured using the gamma spectrometer. 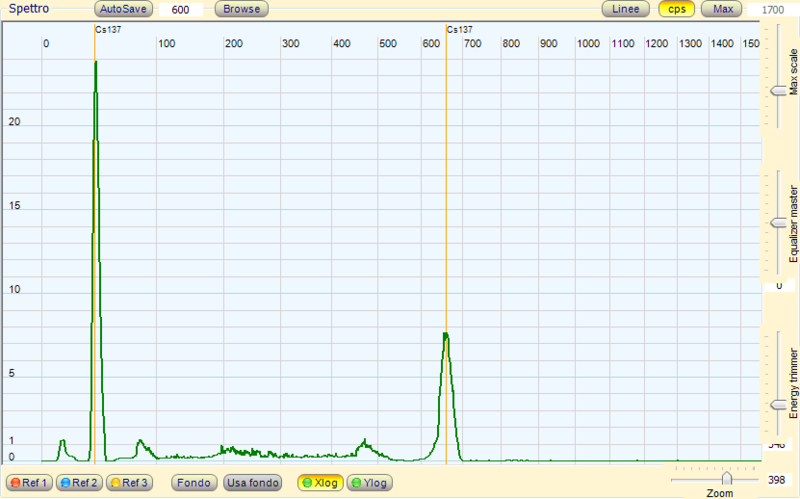 In the image below, you can clearly see the spectrum of the Cesium 137 with classic photopeaks at 32keV and 662keV. 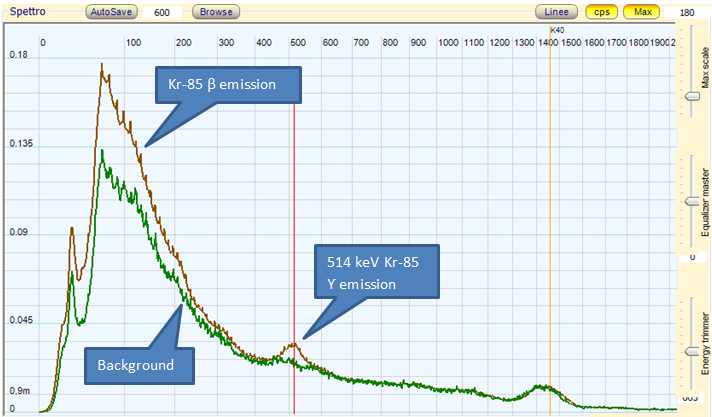 The vacuum triode shown in the image above contains a small quantity of Kypton 85, since the half-life of about 10 years, the residual activity is very low but measurable with a gamma spectrometer. 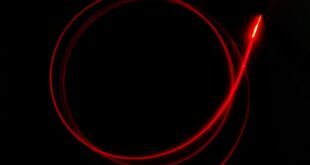 The diagram below shows the decay of Krypton 85. There is a predominant β emission toward the base level of Rubidium and a marginal decay to an excited state which, however, is followed by a relaxation gamma photon at 514keV. The gamma spectrum shown below has been acquired with NaI probe 63×63 mm. The green line is the background spectrum, while the red one is the spectrum obtained with the triode in contact with the probe. It is evident that from zero up to about 600keV the spectrum of the triode is higher than the background, this is a sign of the beta emission of the krypton 85 (and also to bremsstrahlung X-rays of electrons absorbed by the glass). 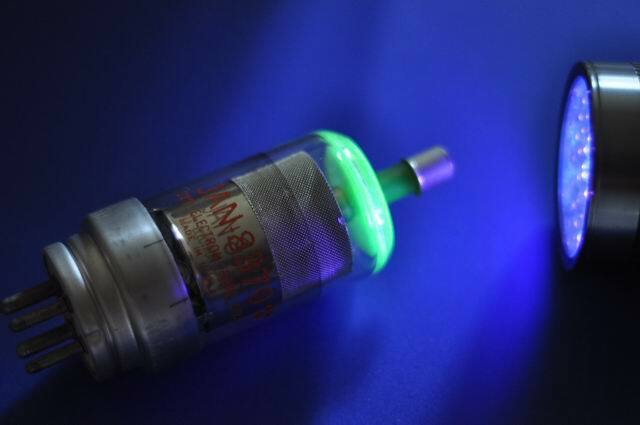 There is also the gamma photopeak at 514keV, hallmark of the Krypton 85 emissione. The image above shows a radar spark gap tube containing a small amount of Radium 226. 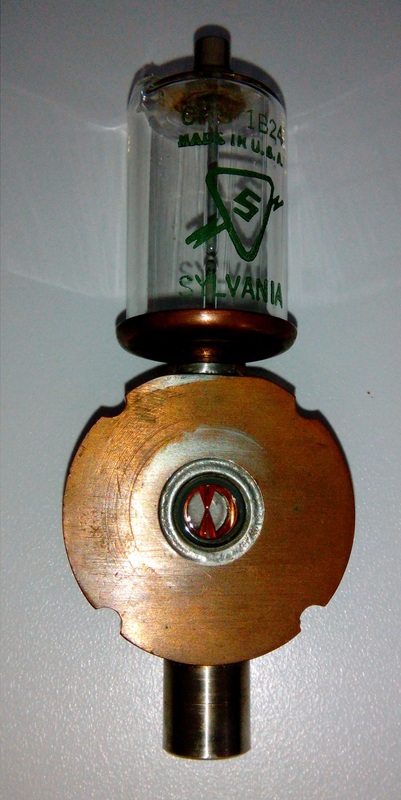 The radium is deposited on the inner glass chamber at the copper disc center and has the aim to ionize the gas contained in the tube so as to facilitate the formation of the electrical discharge between the two electrodes. The Radium has a half-life of 1602 years thus the original radioactivity has remained virtually unchanged. 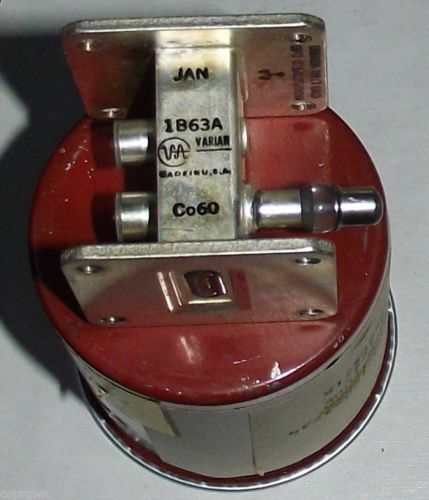 The image on the left shows a vacuum tube containing a small amount of Cobalt 60. The cobalt is deposited inside the chamber and has the aim to ionize the gas contained in the tube so as to facilitate the conduction in the gas. Cobalt 60 has a half-life of 5 years thus the original radioactivity is barely measurable.